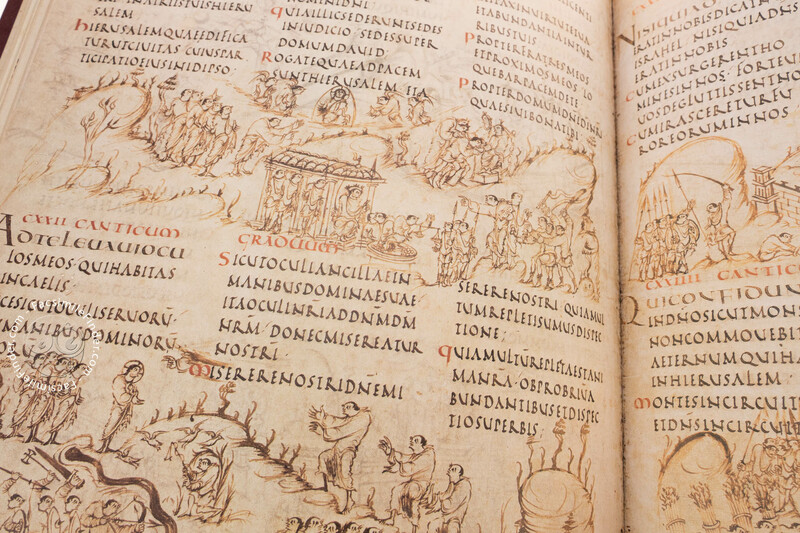 The importance of the Psalter as the basis for monastic singing during the divine office dates back to the 6th century. The Utrecht Psalter is both one of the most exceptional manuscript from those years and possibly the most unconventional medieval Psalter. 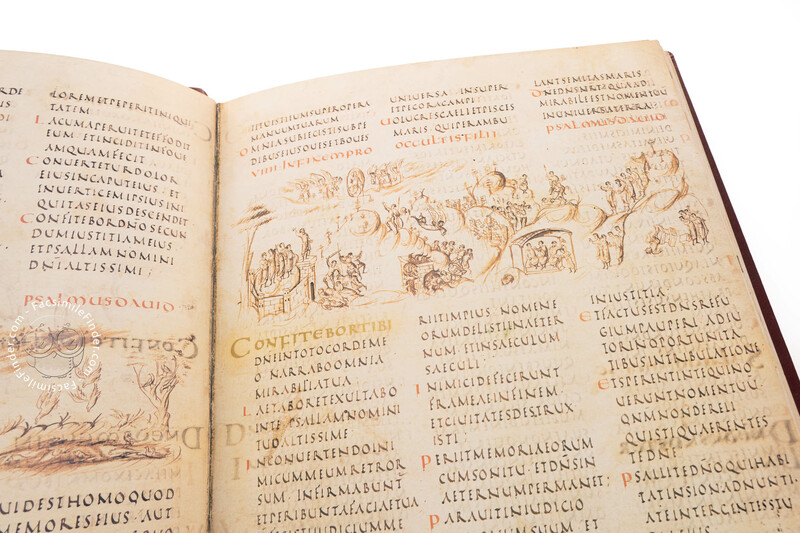 Crafted and decorated between 820 and 840 in the Benedictine abbey of Hautvillers, it was commissioned by Ebbo, the archbishop of Rheims and Louis the Pious's foster brother. 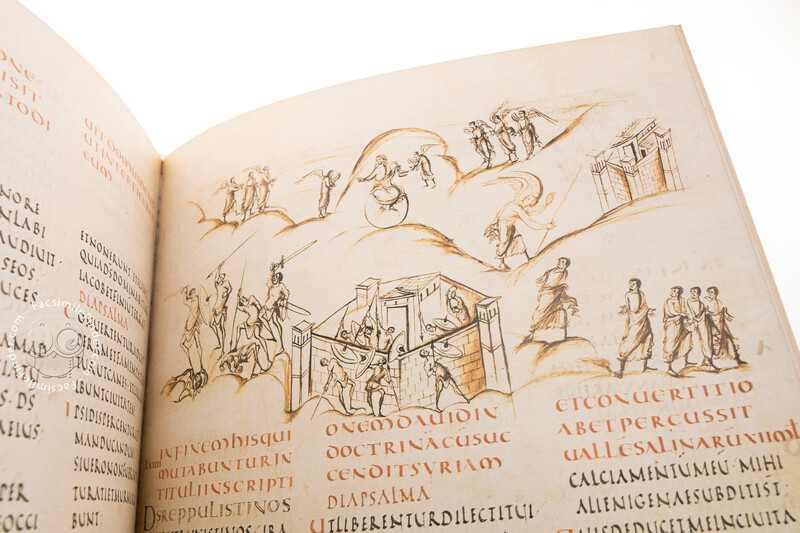 This incredible Carolingian illuminated manuscript is the first known illustrated Psalter in the field of Western book craft. 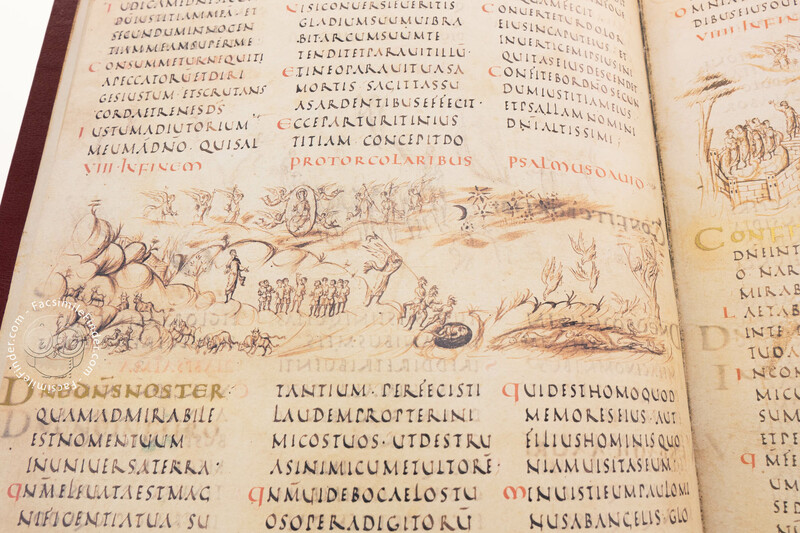 The 150 psalms are flanked by opulent page-wide drawings. 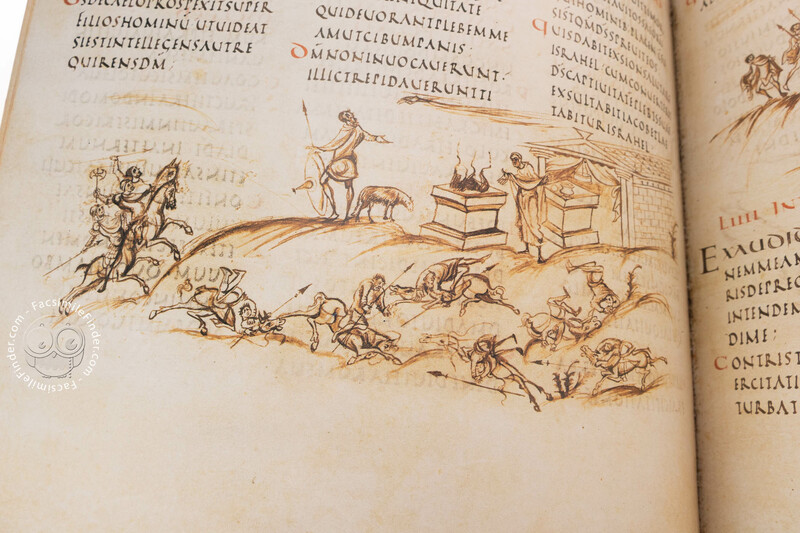 The sketches often feature small figures that seem to have been 'doodled' with only a few pen traits. These simple though extremely lively characters often move within barely outlined backgrounds and sceneries. They are a perfect match to the beauty of the text's rustic capital script. Due to their creative liveliness, many famous scholars have equaled the master who painted them to the likes of Leonardo da Vinci, Vincent van Gogh or even Rembrandt. 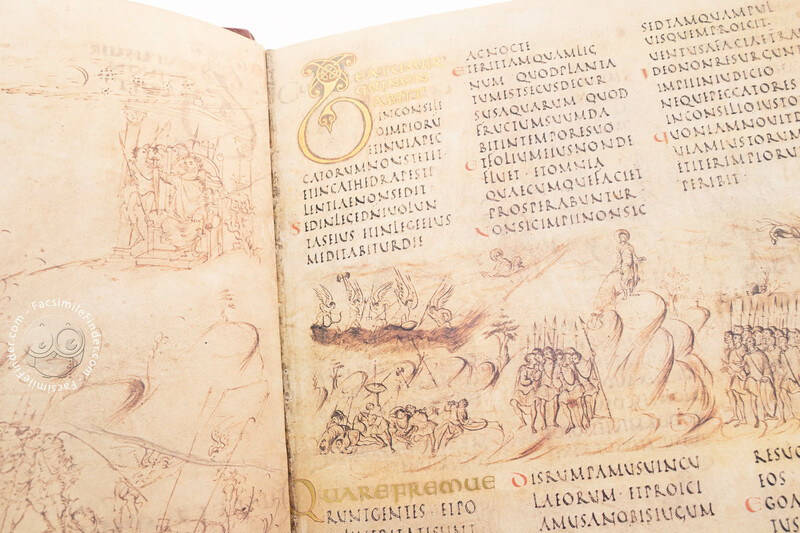 The incredible expressiveness of the Utrecht Psalter strikes us, but so too does the master's painstaking effort to make his illustrations follow the text as closely as possible, though using images imbued with symbolism. 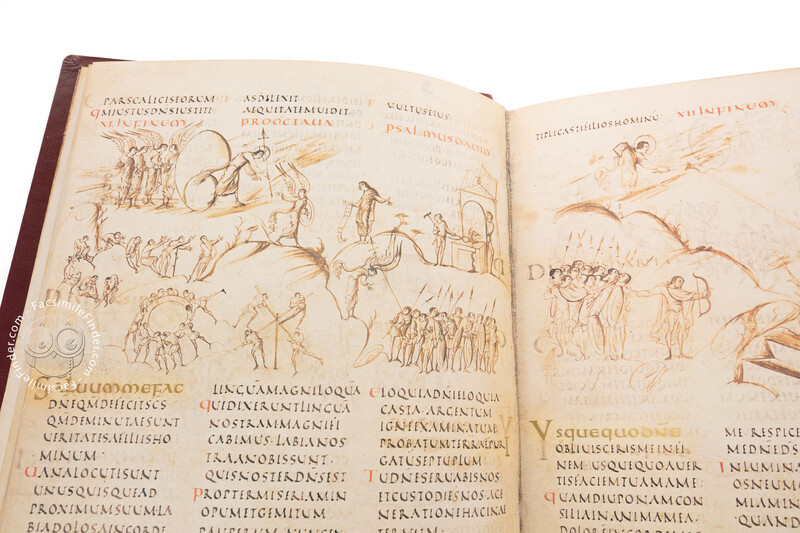 The Utrecht Psalter has been influencing Western art ever since it was made, both in manuscript illumination and in other fields of Carolingian art. Its 'spiritual elements' inspired European artists through the ages with. 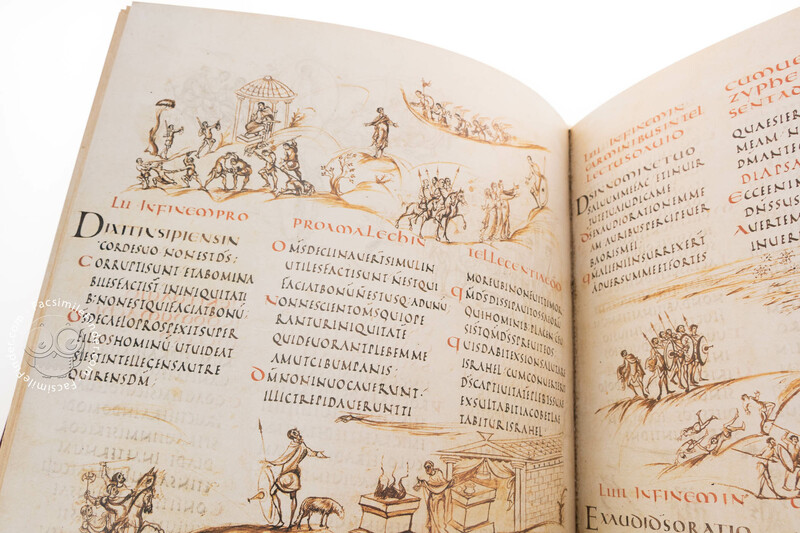 Around the year 1000 AD, the book was taken to England. 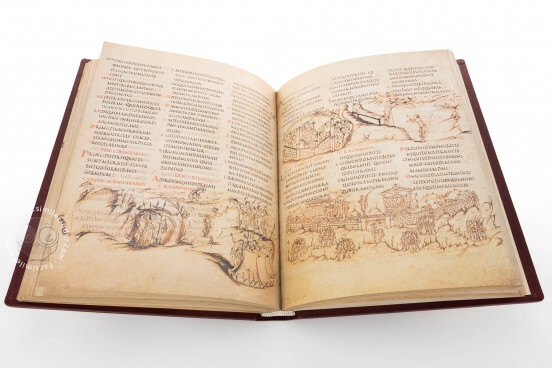 After Henry VIII's dissolution of the English monasteries, the manuscript was acquired by private owners, and in the 16th century, it was part of Sir Robert Cotton's collection. 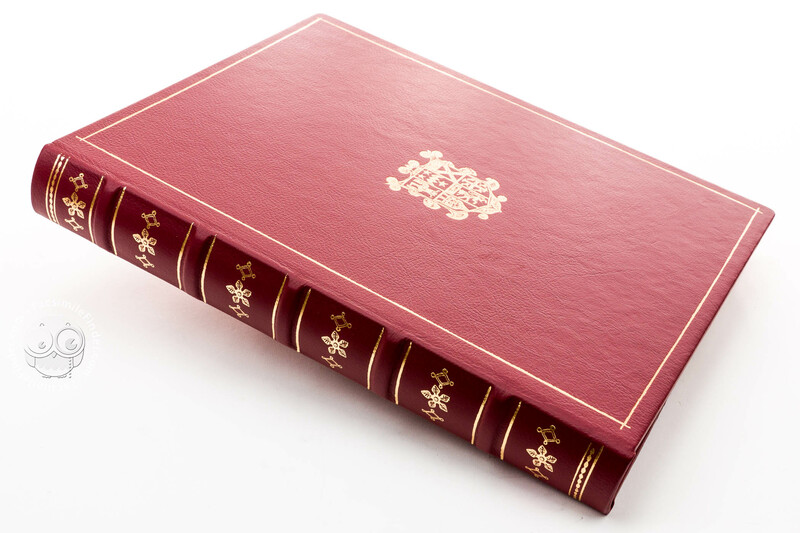 The renowned English bibliophile had it bound in red leather, as it still appears nowadays. 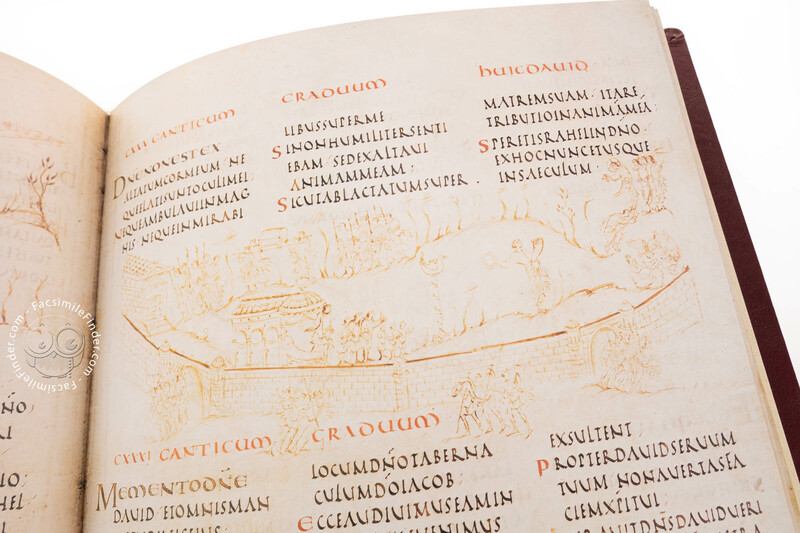 Manuscript book on parchment − 33 × 25.6 cm − 222 pp. 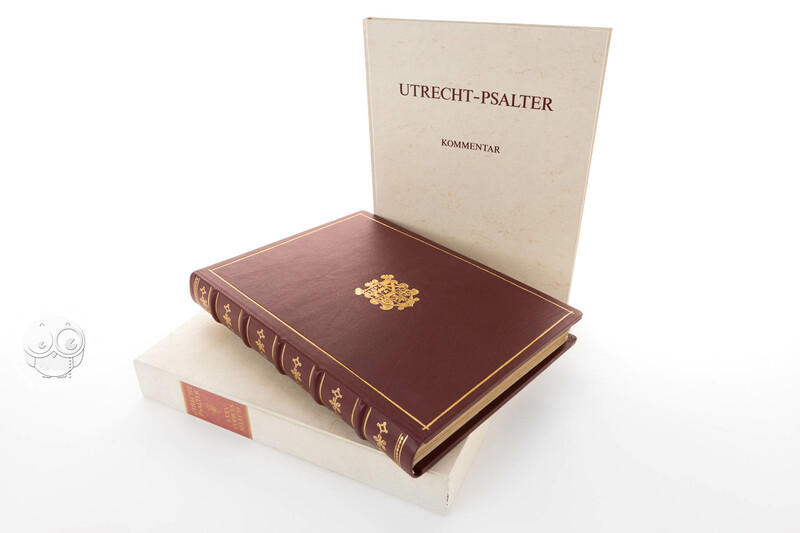 Der Utrecht-Psalter (Luxury Edition) by Adeva. 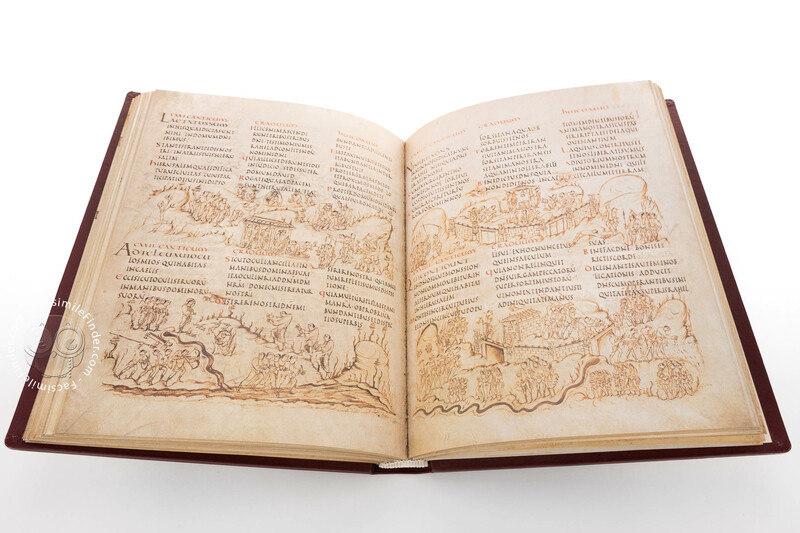 Full-size color reproduction of the entire original document, Utrecht Psalter: the facsimile attempts to replicate the look-and-feel and physical features of the original document; pages are trimmed according to the original format; the binding might not be consistent with the current document binding. 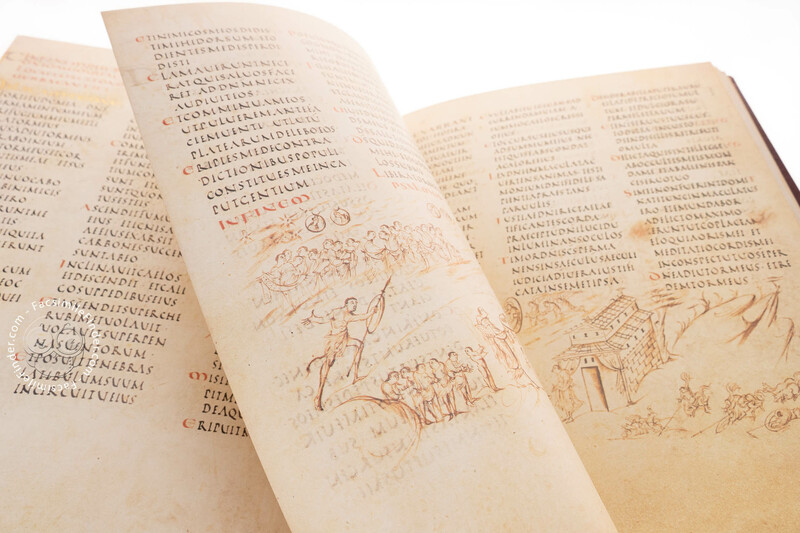 The commentary volume to this edition includes 116 pages and introduces the reader to the world of the Carolingian Renaissance while also providing a comprehensive explanation of the lavish decoration of the manuscript. 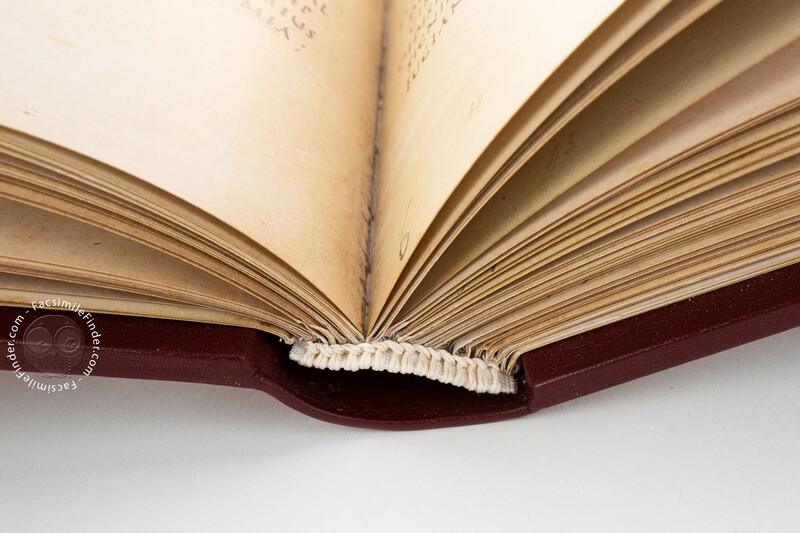 All leather, faithful replica of the original binding which was made for Sir Robert Cotton in 1600. 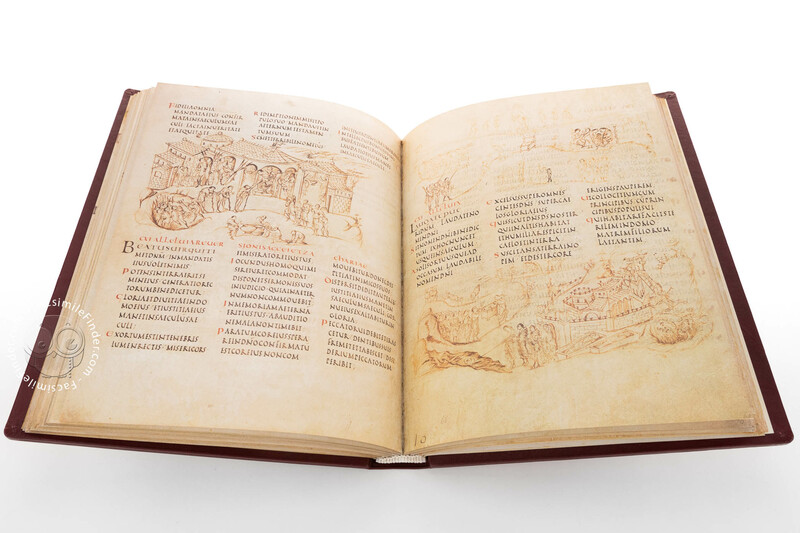 Der Utrecht-Psalter (Standard Edition) by Adeva. 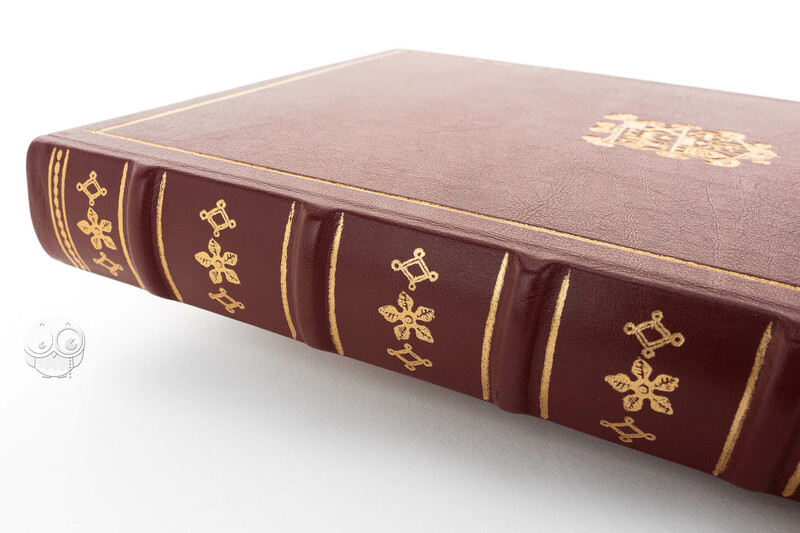 A faithful replica of the original binding which was made for Sir Robert Cotton in 1600. 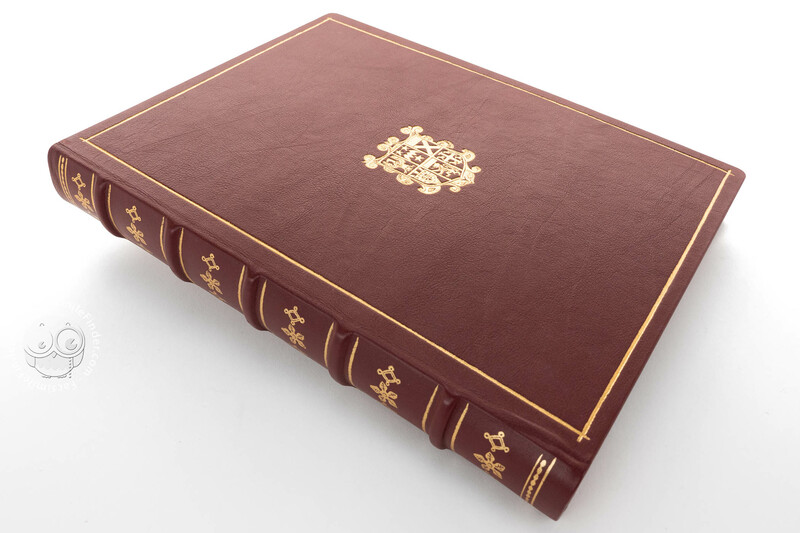 The difference between this edition and the luxury one is that here the binding is produced with faux-leather instead of real leather.